Hello everybody. My name is Shanis, and I am here to tell you about scary ghost stories that's happening around me. Most of them are my own experiences. 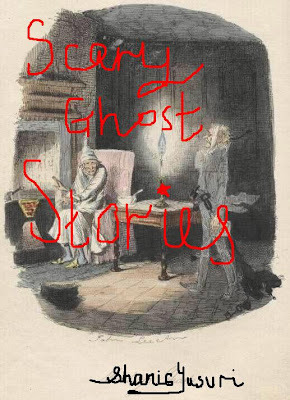 Some of them are real ghost stories related to me, and the rest are stories from my family and friends. I've some others translated from local books too. Everything that happened around me made me pause and think, maybe God wants me to do something about all these scary experiences that bothers me all this while. Hmm... so I've decided to share all these stories with all you readers out there. I hope I am able to deliver them to you with the maximum impact. And I am really hoping you'll enjoy reading them. I want you to think of them as a type of entertainment, and don't feel scared to read more of my stories. Read them, live in them and dream about them if you wish, and you'll discover a new world of ghostly ghost stories here in my site. Have fun, and enjoy your reading!